Though she was born three weeks early, baby Isabelle weighed over 10 pounds at birth. Her mom, Becky Norris, called her a Buddha baby. Isabelle is a healthy 18-month-old today. But her birth weight wasn’t a good sign, given that her mom has Type 1 diabetes. “From a diabetes standpoint, one of our goals is to grow an average-size baby, or a baby that’s grown with blood sugars that are as close to normal as possible,” said Gail Heathcote, CNM, DNP, a certified nurse midwife who cares for Norris and other high-risk pregnant women in Spectrum Health Medical Group’s maternal-fetal medicine program. “If the mother’s sugars are higher than they should be, those babies may be more prone to diabetes and obesity themselves,” she said. So Norris’ goal with her current pregnancy—a boy, expected in late September—is to nurture him in an environment where the blood sugars are well controlled. A new weekly clinic is making it much easier for Norris and women like her, who are pregnant and have diabetes, to keep their health in check and safeguard their developing baby. The clinic is a collaboration between two Spectrum Health Medical Group specialty areas: maternal-fetal medicine, which cares for women in high-risk pregnancies, and endocrinology, which cares for patients with diabetes. The partnership began about a year ago, “with the understanding that multidisciplinary collaboration was essential for good care,” Heathcote said. Heathcote, who brings years of experience in high-risk pregnancy care. Alisha Foley, PA-C, a physician assistant who works with adults who have diabetes at the Spectrum Health Medical Group Center for Diabetes & Endocrinology. 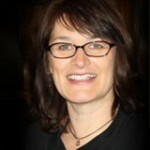 Valerie Kowalski, RD, CDE, a dietitian who specializes in diabetes and nutrition. The four of them carry on wide-ranging conversations about Norris’ health and her unborn baby’s development. A careful review of her blood sugar data is always at the forefront. Norris wears a pair of cell phone-size medical devices that help manage her diabetes: a continuous glucose monitor, which measures her blood sugar levels 24/7, and an insulin pump, which delivers insulin hourly through a catheter inserted under the skin. The pump can deliver more on demand before meals to keep blood sugars down. Data downloaded from the pump gives an hour-by-hour history of Norris’ blood sugar levels, blood sugar self-checks, insulin intake and more. Based on this data, the team can adjust the insulin dosages to keep her glucose levels on target. Because Norris is a registered nurse herself—she works with pediatric hematology and oncology patients at Spectrum Health Helen DeVos Children’s Hospital—she makes good use of the medical resources available to her. For example, she’s not afraid to ask Foley about tweaking her dosages between office visits using MyHealth, Spectrum Health’s online health portal, which includes an electronic messaging system to connect patients with their providers. When her checkup is over, Norris walks a few steps down the hall for a non-stress test, which checks the baby’s heart rate. Monthly ultrasounds are also scheduled in conjunction with regular office visits. This bundling of services and resources in a single location makes the experience much easier for high-risk patients. It keeps women from having to make separate visits to an endocrinology specialist and a high-risk obstetrics specialist throughout their pregnancy. “It’s really nice to have my appointments combined,” said Norris, 35, who has been living with the complexities of diabetes since age 17. Beyond the convenience factor, she said the clinic gives her “a sense of peace” about her health and her baby’s. “My blood sugars have been better controlled when I’m pregnant than when I’m not because they’re watching it so closely,” Norris said. And they’re keeping a close eye on the baby. “They’re very informative about what could happen when he comes out, and what we’re watching for and just different things to be prepared for,” she said. The combined clinic also makes life easier for women with transportation challenges. Health care providers also benefit from the cross-specialty collaboration. If you were to follow the team around for a day, you’d hear a constant exchange of ideas, Heathcote said. “We’ll talk about research questions, how we should grow in the future, how we could improve health care for these women,” she said. Improvements in health care are at the heart of the matter. “Why we’re particularly interested in diabetes during pregnancy is that high blood sugar damages blood vessels,” Heathcote said. High blood sugar can potentially harm the mother’s eyes, heart, kidneys, feet and more. It can also harm the blood vessels in the placenta, affecting the oxygen and the baby’s nutrients. The more tightly controlled a patient’s diabetes during pregnancy, the better the outcomes for mother and baby. This is also true for women who develop high blood sugar levels only during pregnancy, according to Gregory Deines, DO, a specialist in diabetes and endocrinology with Spectrum Health Medical Group and one of the founders of the collaborative clinic. “We want all women who become pregnant to talk with their obstetrician about when to be screened for gestational diabetes,” Dr. Deines said. He recommends screening at 24 to 28 weeks’ gestation—or at the first obstetrics appointment for women who have had gestational diabetes in a previous pregnancy. “The more we can do early on to reduce the risk of preventable problems, the better,” he said. Ask your endocrinologist or your OB-GYN for a referral to the pregnancy and diabetes clinic at Spectrum Health’s maternal-fetal medicine program or call 616.391.3681 for more information.